Do we have a good one for you today – the Samsung Galaxy S9 Plus takes on the new LG G7 ThinQ. The Galaxy S9 Plus, available since March, is the newest Samsung flagship, as is LG’s G7 ThinQ, available since May. These two devices represent the pinnacle of smartphone technology in 2018, which we all know changes rapidly over the course of a year. Other than seeing the notch on the display of the G7 ThinQ, it is a sleek looking phone, but it is hard to compete with the Samsung Infinity Display and its curve edges. LG added a black dot pixel in its LCD display, but it still cannot beat out the AMOLED display found on the Galaxy S9 Plus. Both of these devices are more evolutionary, rather than revolutionary based on their predecessors. Which one is the better purchase? These are the type of questions we will attempt to answer. First we go through the items they have in common, then please scrutinize the specification sheet below. The Samsung Galaxy S9 Plus and the LG G7 ThinQ have many things in common. We can start with the physical dimensions being extremely close, although the Galaxy S9 Plus weighs in an extra 27 grams heavier. Both are designed with Gorilla Glass 5 front and backs held together by an aluminum frame and both are IP68 certified against dust and water. Their displays are almost the same size and both use the QHD+ resolution, but the Galaxy S9 Plus uses the AMOLED technology and the G7 ThinQ uses the LCD technology. Both devices use the same processor, GPU and both come with a base memory of expandable 64GB. They both sport dual cameras and 8-megapixel front-facing cameras (FFC). Both enjoy Hi-Res audio, the usual WiFi, Bluetooth v5.0, NFC, FM Radio, and 3.1 Type-C port for charging and data transfer. Both have facial recognition, a 3.5mm headphone jack, and both have a rear-mounted fingerprint sensor. Android Oreo 8.0 comes on both devices out of the box and are available for use on all major US networks. The Samsung Galaxy S9 Plus is very much like its predecessor, the Galaxy S8 Plus. Slight design changes where the curve of the display meets the metal frame make it easier to hold the phone without accidentally opening an app. We expect the updated processor and GPU, but the real news is the new dual camera and the stereo speakers. Intelligent Scan combines the Facial Recognition and Iris Scanner to give the user a faster and more secure way to unlock their S9 Plus. Samsung re-positioned the fingerprint sensor from beside the camera to below the camera to help prevent finger smudges on the camera lens. Still in its infancy, AR Emoji, allows you to immortalize yourself as a digital avatar for use in social media – a great feature that needs a little more fine tuning. The Galaxy S9 Plus sports a 6.2-inch Super AMOLED Infinity Display made better each year through technology upgrades. The QHD+ resolution is 2960 x 1440 pixels with 531 pixels-per-inch (PPI). The S9 Plus employs an Always-On display that helps save battery life and is a real convenience to the user. Samsung also redesigned the curved display, making it easier to pick up and hold without launching an app by accidentally touching the curved area. Gorilla Glass 5 protects both the front and back of the device. The Galaxy S9 series ships with different processors depending where it is purchased. 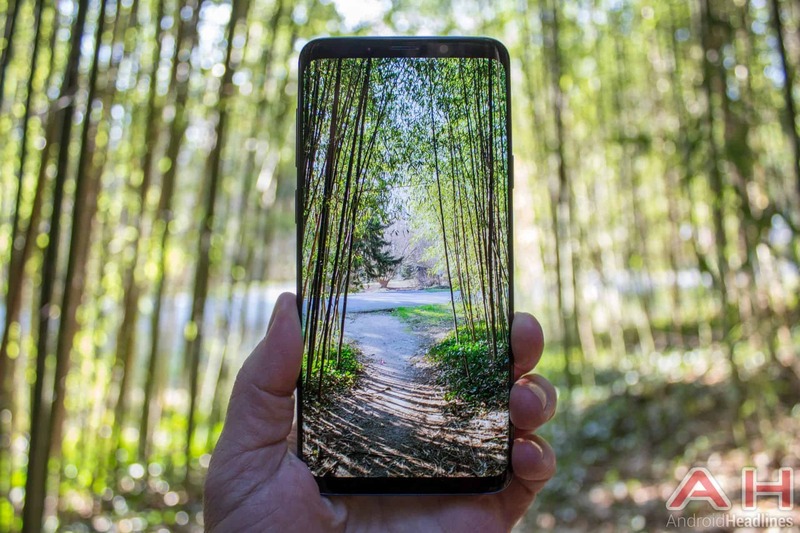 Galaxy S9 Plus models sold in the US/China use the newest Snapdragon 845 octa-core processor clocked at 2.7GHz with a powerful Adreno 630 GPU for graphics, while models destined to the EMEA countries use an equally powerful Samsung Exynos 9810 octa-core processor clocked at 2.7GHz and a Mali-G72-MP18 GPU. Samsung increases the RAM from 4GB to 6GB and to a base of 64GB of expandable internal memory. Samsung will also sell models with 128GB or 256GB of memory, but it will depend on your area and carrier whether or not you can order one. The Galaxy Note 8 first received Samsung’s first dual cameras, but that has led to the Galaxy S9 Plus receiving an improved version. It sports a dual 12-megapixel camera setup with improved Super Dual Pixels, PDAF, OIS, 2x Optical Zoom, 10x Digital Zoom, and an LED flash. The most exciting feature of the new camera is its new adaptive aperture that will give you an aperture much like a human eye – it will adjust automatically and ranges from a large f/1.5 (low-light pictures) to a smaller f/2.4 (for bright situations). The second camera has a fixed f/2.4 aperture and is used for special effects. The FCC has a nice 8-megapixel lens with an aperture of f/1.7 that includes auto-HDR and its own autofocus. Samsung placed the same non-removable 3,500mAh battery in the Galaxy S9 Plus that was used in the Galaxy S8 Plus. This battery should last all but extremely heavy users throughout the day, but if you need to charge your battery during the day, you have a choice of using Samsung’s Adaptive Charge or quick wireless charging for a fast charge. The Galaxy S9 Plus comes packing the usual Samsung goodies – Samsung Pay, side panels for quick access to your most used contacts or apps, Samsung Connect to access Samsung appliances and other home products, a heart rate monitor, an SpO2 sensor, Bixby personal assistant, and an improved Samsung DeX that allows you to transform your S9 Plus into a desktop computer. It comes with the new and less invasive Samsung Experience 9.0 (UI). The device measures 158.1 x 73.8 x 8.5mm and weighs in at 189 grams. 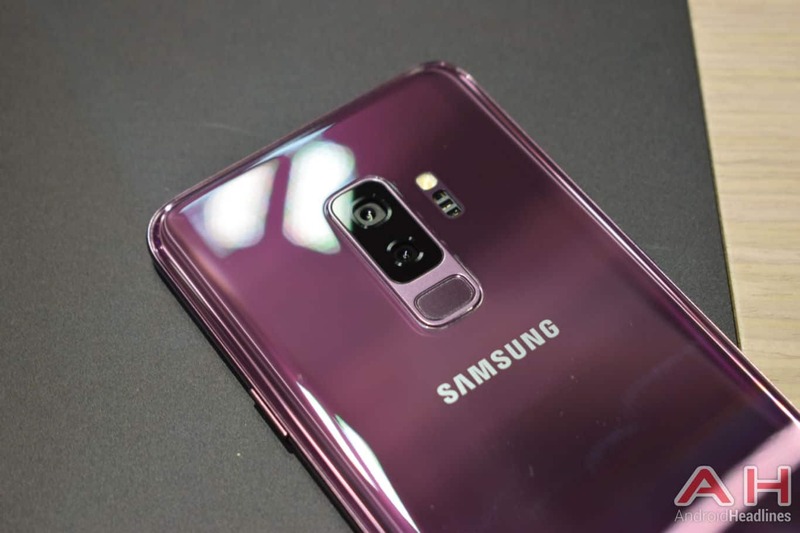 It comes in Midnight Black, Coral Blue, Titanium Gray, or Lilac Purple, with Samsung announcing a new Red version in China. Retail pricing ranges from $915 to $930, but there are quite a few sales promotions going on. LG slightly redesigned and rebranded its smartphones this year by adding ‘ThinQ’ to the end of the name. The LG V30S ThinQ started the ball rolling, followed by the new LG G7 ThinQ, and now the newest LG V35 ThinQ, which is an AT&T exclusive. The LG G7 ThinQ is slightly taller and narrower with edges that are rounded – the evolutionary redesign gives the G7 a sleeker, more modern appearance. 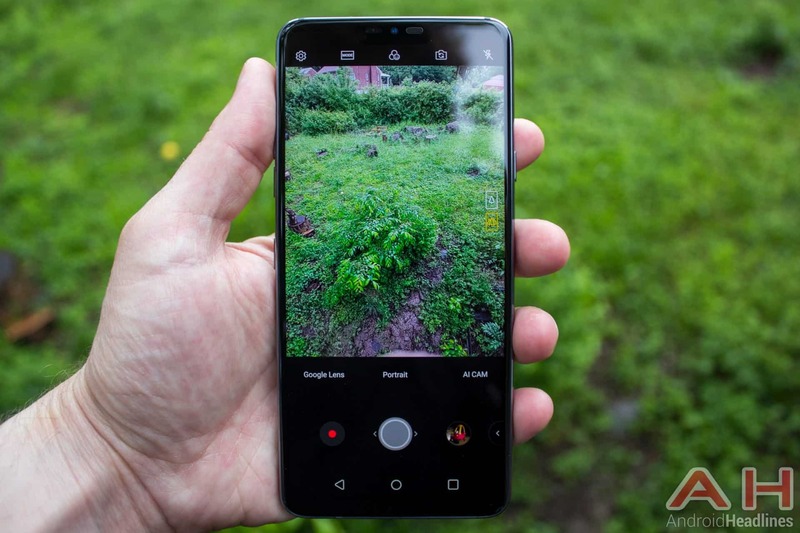 LG increased the megapixel count on its dual camera setup, but then decreased the wider angled lens from the LG G6 on the secondary main camera. Another unanswered question – why follow Apple with its infuriating notch. For years Apple refusal to increase the size of their display. Their long delay to switch over to OLED displays, or to get rid of the home button are just a few examples of Apple’s stubbornness and slow-to-adapt better features – but they add a notch in their display and everybody wants to follow them. The display size increased from 5.7-inches to 6.1-inches with a 19.5:9 aspect ratio that helps when viewing entertainment content or multitasking. It uses a FullVision, as called by LG, with a QHD+ resolution IPS LCD display with 3120 x 1440 pixels and a density of 564 PPI – the same as the LG G6. Gorilla Glass 5 protects the display, as well as the back. LG continues to include Dolby Vision, HDR10 compliance, and the Always-On display for notifications and in an effort to save battery life. The new display can go up to a brightness up to 1,000 nits that it can hold for 3 minutes before dropping back down in an effort to save battery life. LG was able to go with the best processor this time around – the Qualcomm Snapdragon 845 and an Adreno 630 GPU for outstanding graphics. The SD845 is an Octa-Core processor clocked at 2.8GHz, supported with 4GB of RAM and 64GB of expandable internal memory. LG decided to use the same dual cameras in the LG G7 ThinQ and the V35 ThinQ. The package includes a set of 16-megapixel sensors for both cameras – the primary camera has a large f/1.6 aperture, Laser and PDAF, OIS, and LED flash. The secondary camera has a slightly wider angle with a smaller f/1.9 aperture. Most photos are taken using the primary sensor, but if you want a wider group or landscape shot, you can use the secondary lens. LG improved the FFC area from a 5-megapixel with an f/2.2 aperture to an 8-megapixel sensor with a larger f/1.9 aperture for selfies and video chatting. However, they decreased the battery capacity from 3,300mAh to a 3000mAh, but retained Quick Charge 3.0 and wireless charging. LG just had to notch the G7 ThinQ’s display in some attempt to copy the iPhone. Gone is the on/off capability of the fingerprint sensor – a typical switch on the side of the device provides that function. LG did go for Gorilla Glass 5 all around and they did kept the 3.5mm headphone jack that will provide the user with virtual surround sound. LG improved on the single bottom speaker and it will now resonant throughout the chassis to give you what LG calls Boombox sound. Bluetooth is now bumped up to v5.0 and NFC will allow you to perform Android Pay mobile payments. Android 8.0 Oreo comes on the LG G7 ThinQ out-of-the-box. The LG G7 ThinQ measures 153.2 x 71.9 x 7.9 mm, weighs in at 162 grams and comes in Platinum Gray, Aurora Black, Moroccan Blue, Raspberry Rose and it will cost you about $750 for the 64GB model. When it comes to specifications and design, the Samsung Galaxy S9 Plus is the clear winner, but at a cost of $150 more than the LG G7 ThinQ. The Galaxy S9 Plus has it all – looks, Super AMOLED display, more RAM, Dual Cameras, larger battery, stereo speakers, Intelligent Scan, Heart rate monitor, SpO2 Sensor, DeX, and Samsung Pay. The LG V7 ThinQ is a beautifully designed smartphone that has a few of its own features, such as MIL-STD-810G, Google Assistant Button, Boombox speaker, and Google Lens. But it still uses the older LCD display technology with a notch, 4GB of RAM in the base model, and uses a smaller battery. Both phones should satisfy most users, and if money is no object, then spend the extra money and grab the Galaxy S9 Plus, but if money is tight, save the extra money and pick up the LG G7 ThinQ. Remember, many carriers are offering BOGO with the Galaxy S9 Plus, so the more expensive device may offer the best value. 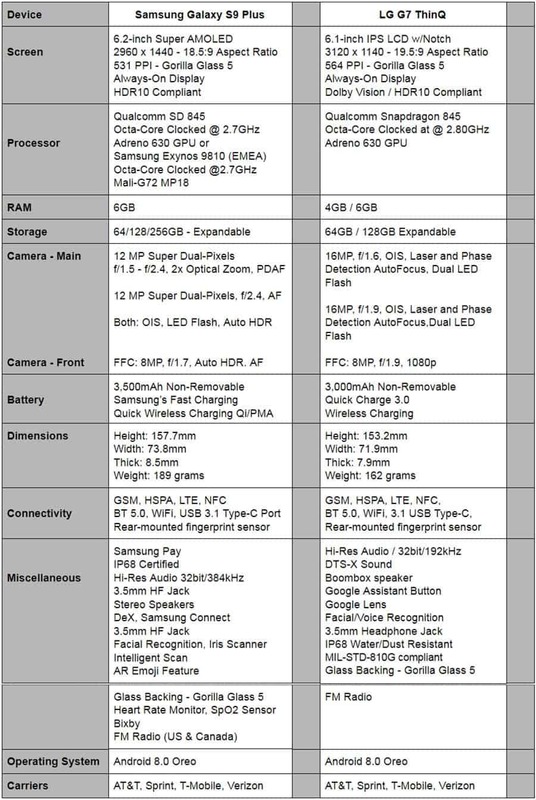 The post Phone Comparisons: Samsung Galaxy S9 Plus vs LG G7 ThinQ appeared first on AndroidHeadlines.com |.